On the 18th May, Madrid’s Parque del Buen Retiro will return to the beginning of civilisation. It will be a journey into the past, to the world of minotours and mystical beings; an escapade to Ithaca, hand in hand with an imagined Penelope. 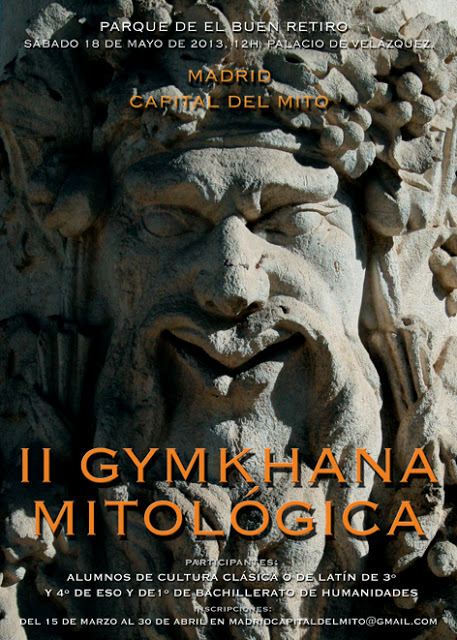 From midday on the 18th of May, secondary students from all over the Spanish captial will take part in II Gymkhana Mitológica “Madrid, Capital del Mito” an orienteering-meets-obstacle-course-type competition to challenge both body and mind.